Wilmington Boys Choir Concert: "Noye's Fludde"
You are here: Home / Wilmington Boys Choir Concert: "Noye's Fludde"
Not interested in Wilmington ? Please choose a different community. 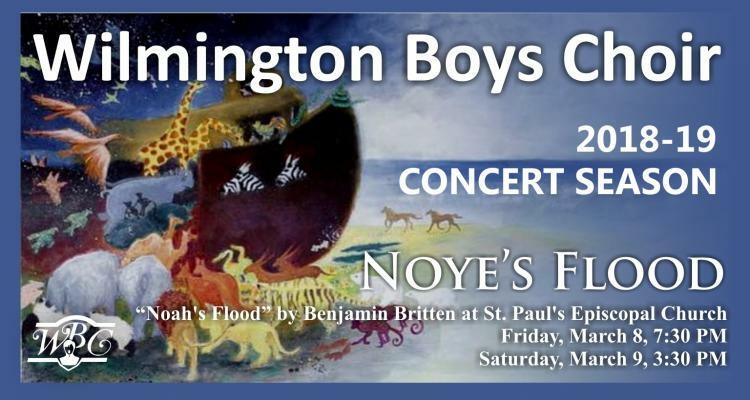 More About Wilmington Boys Choir Concert: "Noye's Fludde"